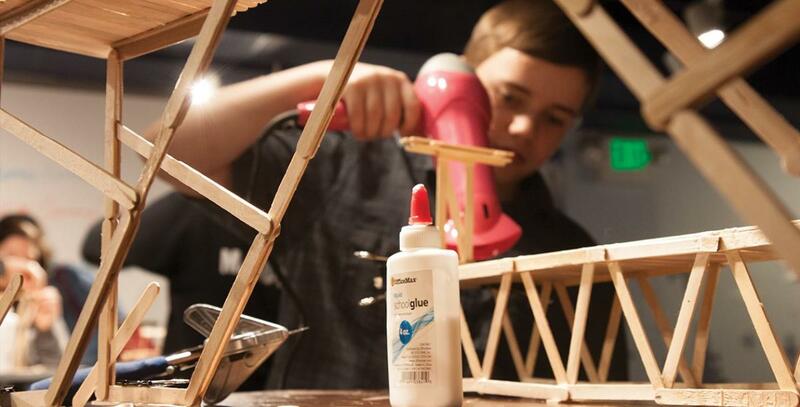 Teams of high school students, and the popsicle bridges they design, will be driven to their breaking points during the annual Popsicle Stick Bridge Building Contest, sponsored by the Younger Member Forum of the American Society of Civil Engineers. Competitors must design and build small bridges that are strong and aesthetically pleasing while using only popsicle sticks and white glue. The bridges are judged for creativity, and then subjected to the pressures of a hydraulic press until they snap. The longest-lasting and most original structures win.